This past week has seen me travelling up north to spend some quality time with Mum and Nan, complete the first in a series of hair & make-up trials for a budding bride before her ceremony in November, fit in a hen do in Basingstoke (different 'budding bride'), and also manage to do a couple of on air shifts... so I think one of my favourite Bangles tracks is the perfect blogpost soundtrack for today, even though today has actually been quite laid-back in comparison... I think it's called poetic license... or bloggy license..! I won't bore you with the details as to why I'm not really a sugar fan, it'll very likely make you regard me as a conspiracy theorist (!) - but I'm finding that, with age, I'm becoming ever more particular about what I eat, what I drink, and even what I sweeten my drinks with, and honey seems to fit the bill for me. Having said that, any old honey won't do any more... I was first introduced to raw honey by my friend at Bareskin Beauty (another blog may well follow at a later date about Juliette) - so I found I had much to talk about with the guys who are passionate about their honey, on their Bee Mercy stall. If you get chance to try their raw honey, do. As I say on my 'About Me' page, I'm not being paid to promote anything on this blog - so I say what I mean - and this is really beautiful honey. 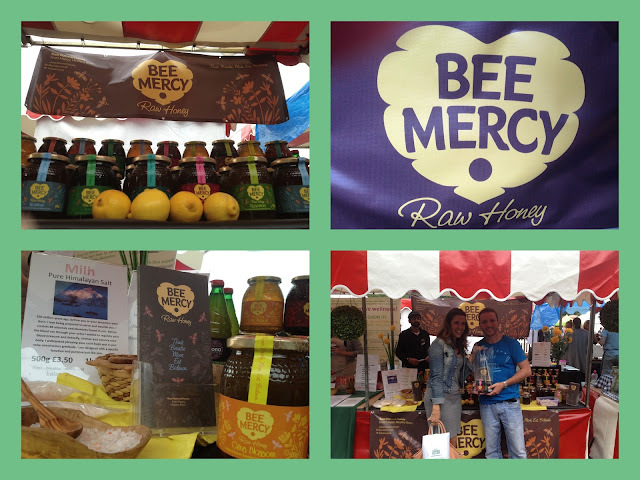 Not only that, the guys behind Bee Mercy are lovely too - and have a riveting story to tell about why they came to be in the raw honey business... If you ever get the chance to meet them, ask them about their journey; they'll be happy to share not only insights but also a sweet sample..! ...for avidly checking out people's clothes and style... I found myself approaching a stranger to ask if I could take her photo, I must have seemed a little nutty... but thankfully she said yes! The avid blog readers amongst you will remember my refashioning from only a couple of weeks ago - and maybe you'll understand why I was drawn to this lady's dress!! It really did spark a few ideas in my head - given that I was so obsessed with lining up the stripes in my creation; here was a completely different way of wearing the same print... The unexpected and lovely surprise to come out of THIS conversation is that the lady is a fellow seamstress! AND she loves refashioning... her name is Ghislaine, she's French, and she's the proud owner of a new sewing machine..! I don't know if it's serendipity, or her stylish outfit that gave the game away, but finding a fellow refashioner in that enormous event is comparable to finding a needle... ah you know the rest! ;) Another post will follow regarding Ghislaine, as she's shared many unique ideas with me since our meeting, via e-mail, which I will be passing on to you... Isn't life funny? Sometimes London can feel a little bit kid-unfriendly, so it was good to see that, not only were children welcome, the child in every one of us was encouraged to come out and play! 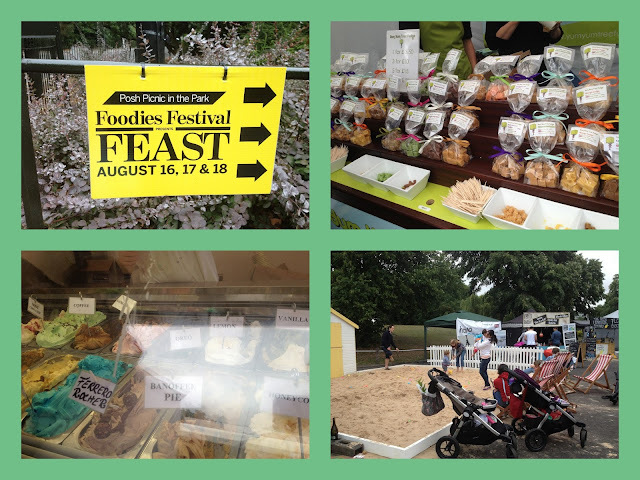 With a sand pit, tasty sweet samples dotted around the place, and even a children's cookery theatre... I made a promise that, not only would I return to another Foodies Festival, next time I'll arrive earlier and take a big crowd along! I use honey sometimes, bought a vita Mix processor, so us it with fruit smoothies, not sure I'd try it in tea or coffee though. It's readily available in these parts of Essex (living off a road called Beehive Lane may be a clue..) the stuff I buy from the farm shop has the home address of the supplier. I decided to give up sugar many years ago, just stopped one day and decided that I'd have to get used to how tea and coffee and breakfast tasted with it. Didn't take too long though, just get used to it, did the same with skimmed milk, if I have half fat milk in tea now it tastes like cream..
(You did send me off on a tangent though; and is definitely a sugar-conspiracy theory... although, most likely different to yours. I believe it's from Iran (but I only half-remember the story so it could be anywhere); they drink tea from Samovars, but they take coarsely refined sugar cubes and either place it between the teeth, or on/under the tongue when they drink their black tea. The story I was told that many years ago there was a factory that made sugar and everyone took sugar in their tea, so the factory did well and made a lot of money. The government at that time wasn't stupid, they wanted the sugar money and tried to buy the factory - but the owners weren't stupid and refused. At this time, the government controlled the religion - so they told the people that it was a sin to mix sugar in the tea. The people of the country being devoutly religious believed the government and stopped buying sugar; and the factory stopped making money and was forced to sell - at which point, the government said that they'd made a mistake. The sin was mixing the sugar with the tea, but if they placed the sugar on the tongue when you drank, it would be fine... and that is why in Iran tea with sugar is drunk that way. Anyway, enough of my sugar/tea tangent. I can't believe how much stuff you fit into your weeks. (I know the Beatles sung about eight days a week ... but I thought that was just a phrase). Budding Brides of Basingstoke (almost) sounds like a TV series. 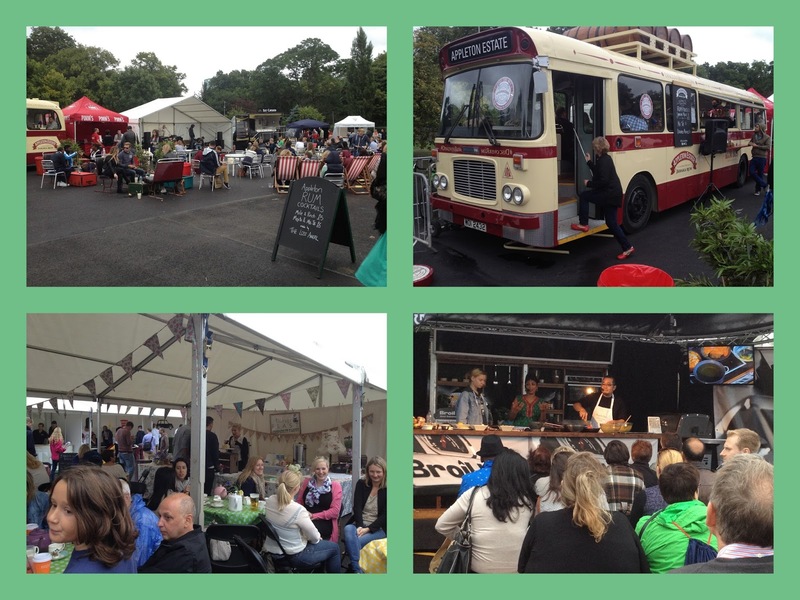 The foodies festival sounds awesome. I know in the Midlands that there's often a foody thing on in the centre of Birmingham - although I think that's more of a "taste of" thing than the variety you had there. (I guess the closest is the 'good food show' at the NEC but that's a lot stricter sounding and (I'm guessing) not as much fun as the foodies). Firstly, I'm a BIG fan of cultural stories, these complex and human anecdotes that explain our current habits, or those in foreign countries... I can't imagine keeping sugar on my tongue long enough for the tea to pass over it, but that's another matter! Thanks, as always, for contributing your thoughts Neil! My problem with blog writing is keeping up the momentum - when I've done it in the past it goes well for a month or two but then I kinda get distracted or my schedule gets jumbled up or something. (Which is really why I've not been back to reply to your reply sooner, or comment on as many things recently as I'd've liked). The sugar on the tongue thing is interesting; whenever I've done it I manage to keep it there for two or three sips but that's about it. (That said, you're meant to drink the tea very quickly - something I'm not able to do (yet) - you need an asbestos tongue or something lol ). I'm nodding about cultural habits etc. It is really interesting - especially when someone tells you something and you get that lightbulb moment and go "ahh, now _that_ makes sense." 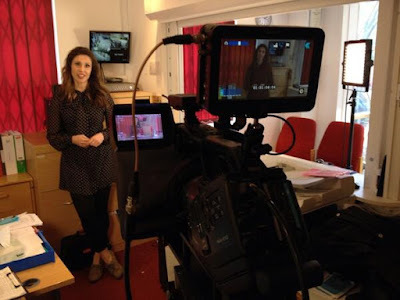 All comments welcomed, it's lovely to hear from you! If there's a slight delay in your words being published here, it's only because the're being moderated first... just to make sure you're not a bot ;) Thank-you! !